Now that Avengers: Age of Ultron has opened- with a $16 million smaller opening than it’s predecessor 3 year ago I might add – our eyes are now set on the next big MCU film (no, not Ant-Man which everyone seems to have forgotten about.) No, now it’s Captain America: Civil War that has everyone in a frenzy. And while the movie is set to open in 2016, some casting is already coming out. Emily Van Camp will reprise her role as Agent 13, and Martin Freeman has signed onto an as-yet-unknown role. Except the role of geek god he has already assumed. Daniel Bruhl is also in as Barron Zemo, Chadwick Boseman debuts as Black Panther and William Hurt reprises his role from the 2008 The Incredible Hulk as General Ross. Basically everyone is in this movie. Hulu is said to be developing a series based on the 90s video game Myst. In surprising news, Sony has picked up Powers for a second season on the Playstation network. I say “surprising” only because I didn’t realize it has caught on. But, It appears to have done well. Considering it has no real competition I’m not sure how the success in being measured, but good for everyone involved. Well it’s May so it’s time for the network renewals, cancellations, and pick ups to begin. CBS has ordered Supergirl to series. The Melissa Benoist starrer will join CBS’ yet-to-be-determined Fall schedule. The series is produced by Greg Berlanti, who also produces The CW’s Arrow, The Flash The CW is owned by CBS leading to the possibility of further expanding the growing shared universe. Speaking of, The CW has also ordered to series (for 2016) DC’s Legends of Tomorrow, a spin off of Arrow and The Flash that will combine characters from both shows in some murky way. It sounds like DC’s take on Marvel’s “Days of Future Past” stories. New DC characters joining up include Rip Hunter (Arthur Darvill), Hawgirl (Ciara Renee), Franz Drameh (Jay Jackson). Still no word on why only half of the Firestorm character from The Flash has been cast (Victor Garber). FOX has ordered a series called Grinder which is a legal comedy starring Rob Lowe, not a dirty show about a certain similarly named app. 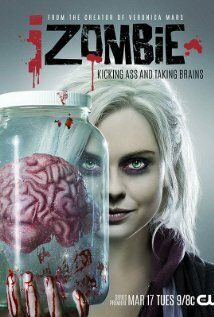 In other CW news, iZombie has been renewed for a second season. Orphan Black, the best show you’re not watching has been renewed for season 4. Hopefully that will expand its streaming options because I feel like that is what’s holding it back from greatness, catching up is hard. ABC renewed several shows: Once Upon a Time, Marvel’s Agents of S.H.E.I.L.D., Galavant (SHOCKING and thrilling! ), Marvel’s Agent Carter (YAY), and 16 other shows. FOX has cancelled The Mindy Project after 3 seasons. But, there is a silver lining, there are rumors that Hulu is interested in picking up a 4th and further season on the streaming platform.